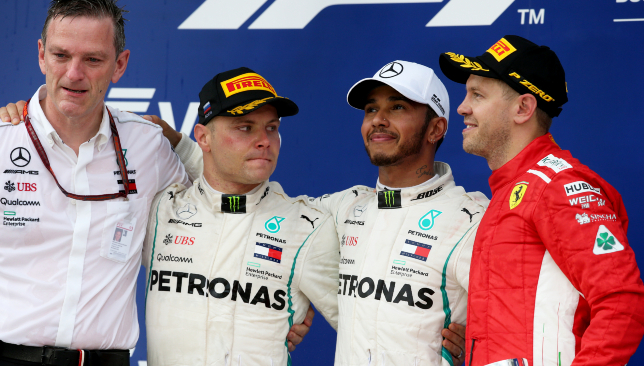 Sebastian Vettel said it was a “no-brainer” for Mercedes to move Valtteri Bottas aside for his championship rival Lewis Hamilton in the Russian Grand Prix. Ferrari driver Vettel is facing an almost impossible task of stopping Hamilton from galloping towards a fifth world title after the Briton extended his lead to 50 points. Indeed, Hamilton can now afford to finish second at the concluding five rounds, and still win the championship. Mercedes courted criticism for manufacturing the 70th win of Hamilton’s career, but Vettel defended their controversial decision. The Sochi Autodrom was expected to suit Ferrari’s package over Mercedes’, but despite bringing a heavily-revised car to the Black Sea coast, the Italian team were no match for their rivals. Vettel qualified a distant third, and despite managing to leapfrog Hamilton during the only round of tyre stops, he was unable to keep the Mercedes car at bay. For the first time this year, the championship is now out of Vettel’s hands, and the German admitted he is running out of time to stop Hamilton. “I wasn’t a genius in maths, but I was clever enough to pay attention and realise that it isn’t getting easier if we lose points,” he added. “We tried our maximum and there was a slim chance to finish ahead of Lewis, but we have to be happy with third and settle for that. “I still believe in our chance. Yes, it is not getting bigger, but who knows? It takes one DNF, and then all of a sudden things look different. Bike Track Days at Dubai Autodrome. October will be a good month for motorcycle riders in the region with Bike Track Days at Dubai Autodrome set to resume on Saturday October 13. Following a break for the summer holiday season, the popular track days and evenings for motorcycles are once again open for bookings. Dates have been announced for October through to December. Bike Track Days at Dubai Autodrome allow motorcycle owners to access and enjoy a variety of race circuit configurations in a safe and controlled environment. Safety cover on the track is run to strict international standards, with marshal posts, safety trucks, ambulance and paramedic services on site for each event. Any standard roadworthy or track motorcycle bike may participate and all levels of riders are welcome, although novice riders are required to first participate in a special Novice Bike Track Evening session to get familiar with track protocol. One piece or two piece zipped together leathers, helmet, boots and gloves are mandatory. A back protector is recommended. Prices start at AED420 per rider (including VAT), depending on circuit configuration. Tip 1: It’s easy to be drawn into ‘turning in’ too early. You’ll apex sooner than ideal and worst case run out of circuit on the exit. Try and turn in and apex later. Tip 2: Try and pick out breaking and apex points on circuit. By looking at the point you want to apex at you’ll magically get closer to it. Tip 3: Take your time and don’t be in too much of a hurry. You may find it will initially take a few laps before you are confident and know your way around the circuit. Tip 4: Don’t get drawn into racing someone faster than you. Tip 5: Remember to smile. 13 October National Circuit: Intermediate and Advanced riders (no novice riders). 27 October International Circuit: Intermediate and Advanced riders (no novice riders). 2 November Club Circuit: Novice, Intermediate and Advanced riders all welcome. 2 December Grand Prix Circuit: Intermediate and Advanced riders (no novice riders). 15 December Grand Prix Circuit: Intermediate and Advanced riders (no novice riders). 22 December Club Circuit: Novice, Intermediate and Advanced riders all welcome. When: Selected dates through October-December. Petrol heads and aspiring racers can celebrate the return of the motorsport season by attending the third edition of the Emirates Motorsport Expo (EME) on Friday September 14 at Dubai Autodrome. The event is held in collaboration with the Automobile and Touring Club of the UAE (ATCUAE), and key speakers from the organisation will announce the new motorsports calendar for 2018-2019. EME is a ground-breaking event for the UAE and represents the only motorsport expo for the region. The expo space is now fully booked, with over 60 exhibitors from the local motorsport industry attending. This is the perfect opportunity for people to meet teams, competitors, championship managers and key stakeholders from the world of motorsport. Gates open at 14:00 and entry is free to the public. 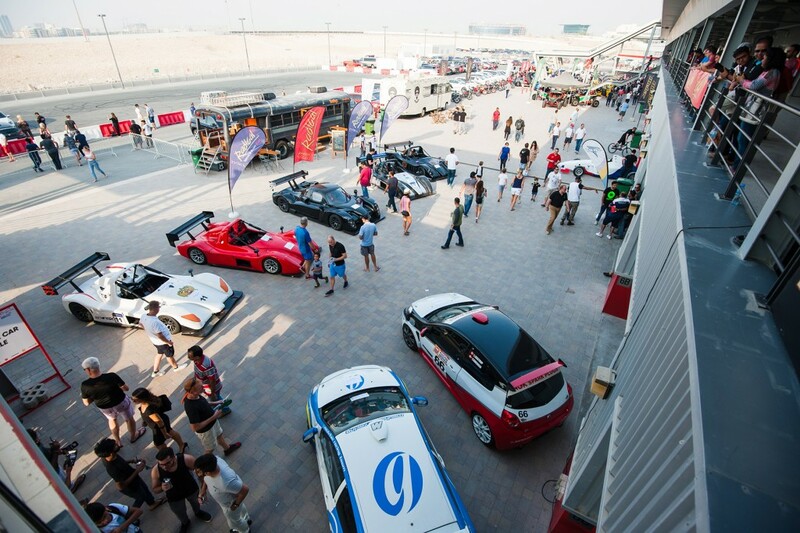 Stands, displays and food trucks will fill the race paddock and hospitality areas at Dubai Autodrome, and the expo will continue throughout the afternoon and evening until 22:00. Key speakers from the ATCUAE, Dubai Autodrome and various motorsport championships will headline the EME with a Season Launch Press Conference, held in hospitality suites 4 and 5, from 15:00 until 16:00. The 2018-2019 motorsport calendar will be unveiled, as well as important announcements on new race series. 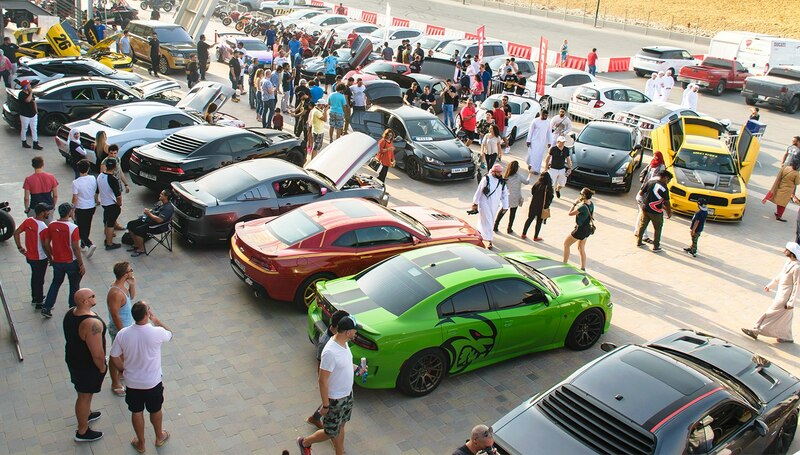 In addition to the motorsport representatives on hand there will also be activities for the public to enjoy, including track experiences on the main circuit, Easy Drift passenger rides, and a Super Cars Majlis Parade Lap of up to 100 super cars. Also debuting this season will be the new Power Hour Challenge, which will allow spectators to get to up-close to a unique selection of race cars in action on track. A variety of rally legends, historic F1cars, drift cars, classics, drag cars and super cars will each get a lap of glory.